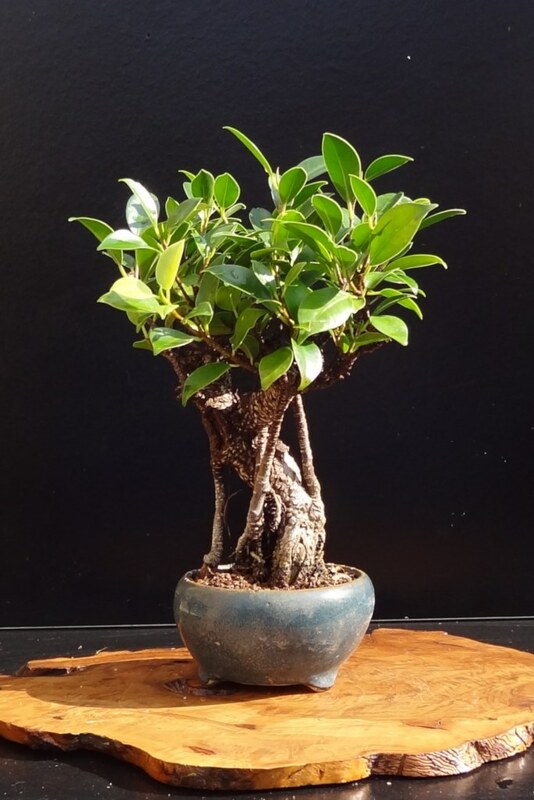 Ficus retusa is one of the trees most often used to grow bonsai. It can be distinguished from Ficus benjamina thanks to its thicker leaves. Often mistaken for Ficus ginseng, even in horticulture stores. Ficus retusa, although easy to care for, demands a bit of attention in order for it to grow in the best growing environment. 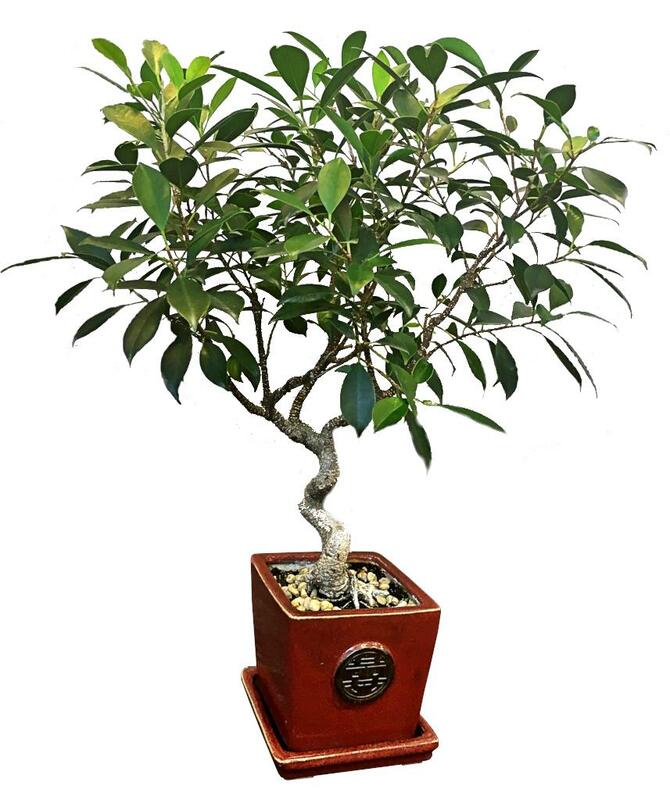 Ficus retusa thrives particularly well indoors when the temperature stays from 60 to 75°F (15 to 25°C). As early as May, after any risk of freezing has disappeared, you can bring your Ficus retusa out to let it taste a bit of fresh air. Ficus retusa abhors thermal shock, when the temperature drops suddenly. Repotting every 2 years in spring is almost mandatory. It is even important to let the soil dry up in the surface before watering again. In summer, it is often necessary to water a bit more, especially if you place it outside. Ficus retusa doesn’t like it when water stagnates around the roots, so avoid collecting excess water in a saucer, or ensure that it stays dry. Ficus retusa loves it when air moisture is high. You can mist the leaves several times a week with soft water, especially in winter. You can rest the pot of your Ficus retusa on a tray of clay pebbles that can be filled with water, without having the pot touch the water itself. Finally, note that your ficus retusa will appreciate having its leaves cleaned often with a rag or a moist paper towel. Here are the tips on how to prune your Ficus retusa into a bonsai. Snip new shoots off as they appear, for the original shape to be preserved or to make it evolve to the shape you would like it to take. Prune preferably in spring on the growth of the previous year. Ficus retusa is a shrub that can bear pruning well, including heavy pruning. Ficus retusa can grow leaves again on old wood. Ficus retusa is quite resistant to most diseases, fungus and parasites. Nonetheless, occasional issues may arise. It might be that your Ficus retusa is drowning in excess water, that it lacks environmental moisture or light. Note that being placed in a drafty area can lead to partial or complete leaf loss. Spray water on leaves regularly. This is often caused by an attack of red spider mites. Read our page on how to fight the red spider mite invasion. This is usually due to mealybugs or scale insects to which the Ficus retusa is very vulnerable, especially indoors. Read on how to rid your ficus retusa of scale insects. 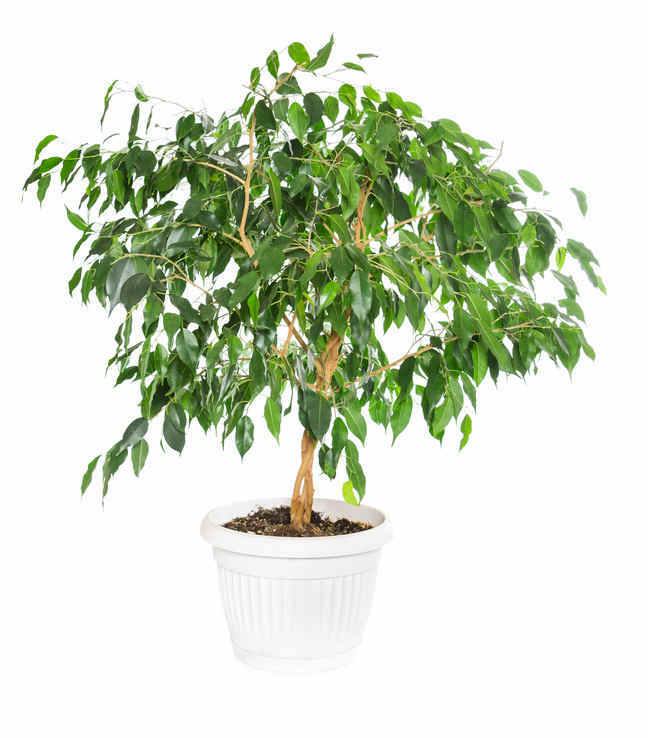 Ficus retusa is one of the rare tree species that is able to grow indoors as well as outdoors. This is also the reason why it is one of the most common bonsai trees. Although the true Ficus retusa tree mostly grows in the wild in South-East Asia, sometimes Ficus retusa branches are grafted to Ficus microcarpa to produce a type of Ficus ginseng. That’s why the name seems so familiar to many plant lovers across the world. Usually, original Ficus retusa leaves tend to be larger and longer that those of Ficus microcarpa varieties. Ficus retusa leaves are up to 4 to 6 inches (10 to 15 cm) long, whereas Ficus microcarpa leaves never exceed 4 inches (10cm). However, identification is sometimes tricky because growing plants as bonsai often makes leaves grow smaller than they normally would. Ficus retusa will appreciate spending the winter in a cooler spot, ideally around 60°F (15°C).